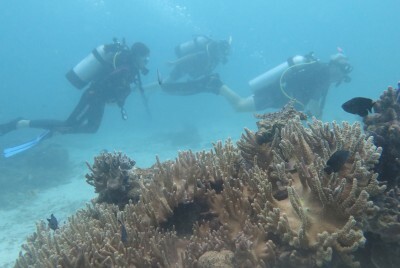 I did the open water diving course and was very satisfied with the service I was provided. The dive master went to pick my buddy and I up at my hotel every morning and brought us back after every last dives we did in a day. It was a very enjoyable experience as the dive master was also very funny and easygoing. I had absolutely no worries even though it's my first time diving. Thank you.